Bad thing to show the killing of a magnificent fish like the gator gar as propaganda for the species. 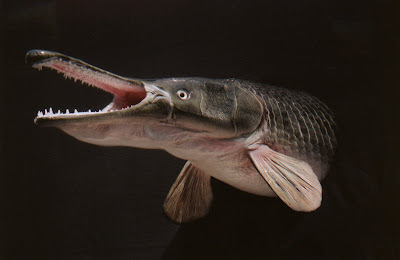 That's no sport, sport would be if the Gar would have a chance against the fishermen. Mind you i love fishing trips but the killing is not necsesary to enjoy the sport and beauty of those big fish.Catch and release is a better option. right on, catch and release.